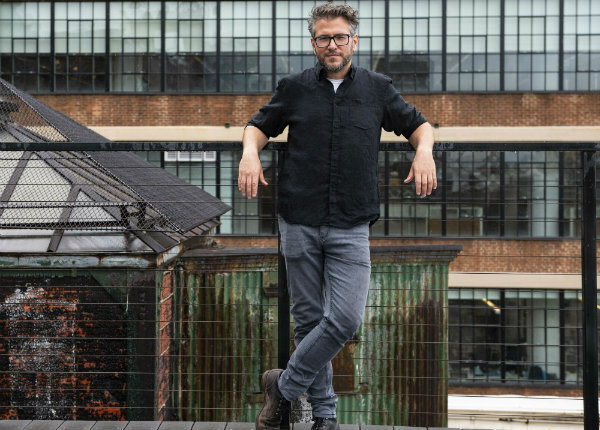 Matt Ian has been named chief creative officer for mcgarrybowen’s flagship New York office. He will assume his new role in mid-September and lead creative for mcgarrybowen’s NY clients including Subway, United Airlines, Verizon, Crayola, Chevron and Northrop Grumman. Ian had been with Droga5 since 2015. As executive creative director there, he worked with brands like The Nature’s Bounty Company, Quilted Northern, and Sprint, and landed many new business wins including Pizza Hut and IHOP (which most recently saw success with their burger launch, “IHOb”). Prior to Droga, Ian was the ECD creative lead at TBWA\Chiat\Day, where he was responsible for a streak of new business wins, including Travelers Insurance, Thompson Reuters, Kenwood Wines, NBCU, and H&M. And before returning to New York for TBWA, Ian worked at CP+B Boulder and Deutsch LA. At Deutsch LA, Ian was EVP, co-creative lead on Volkswagen, overseeing all North America work (brand advertising, retail advertising, collateral, digital, and experiential). While at CP+B, he served as creative director on the Microsoft Windows business. Before heading out West, Ian spent the majority of his career at BBH, NY. First as copywriter, then creative director, on iconic brands like Axe, Levis, Smirnoff Raw Tea (The Original Tea Partay), Vitamin Water, ALL laundry detergent, Sony Ericsson, Rolling Stone Magazine, Lipton, Johnny Walker, Match.com, and Sprite. Ian has earned top honors from seemingly every major industry award show, including garnering two Emmy nominations for his work on Volkswagen. Crowley described a renewed commitment to raising the bar on creativity by bringing in top talent like Ian, Juilie Scelzo who recently joined from Pandora to take on the role of global ECD on American Express, and Justin Walsh who came over from BBDO to become mcgarrybowen NY’s chief design officer. In addition, mcgarrybowen recently exponentially increased its digital creative offering through the acquisition of San Francisco-based Swirl. Ian will join the mcgarrybowen New York leadership team headed by president Angela Johnson, who joined earlier this year from WPP where she led the global Kimberly-Clark business, and Conner Huber, chief strategy officer who came to mcgarrybowen a little more than year ago, having worked at shops ranging from Goodby to Wieden, and CP+B.